The year's Oscars quotes included many a zinger, but perhaps none more controversial than host Seth MacFarlane's Chris Brown and Rihanna joke. Here's how MacFarlane introduced "Django Unchained": "This is the story of a man fighting to get back his woman, who's been subjected to unthinkable violence. Or as Chris Brown and Rihanna call it, a date movie." The reference to Brown's 2009 assault of Rihanna drew gasps from the audience in Hollywood's Dolby Theatre. Rihanna and Brown are now once again an item. 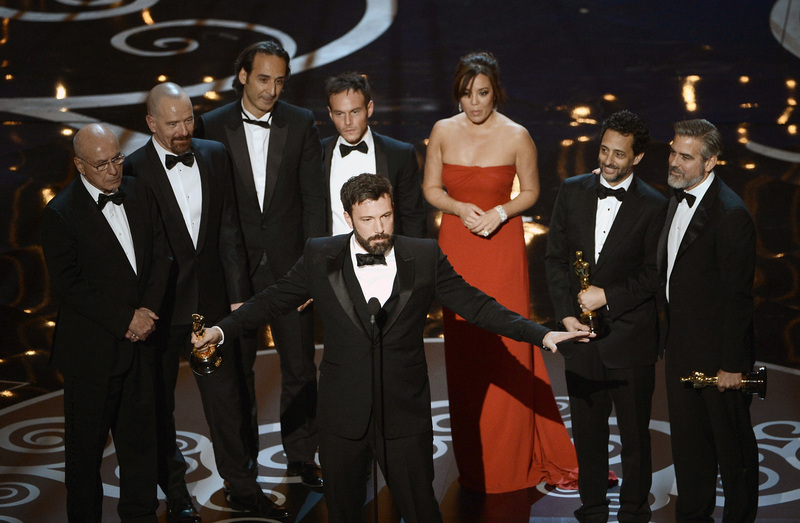 On "Argo," MacFarlane dinged Ben Affleck by saying, "The film's director is unknown to the Academy." He dinged Affleck again later in the program as well. "The first time I saw [Affleck] with all that dark facial hair, I thought, 'My God, the Kardashians have made the jump to film,'" MacFarlane said after admitting that he wasn't sure about the joke. "Last year, Jean Dujardin won Best Actor for 'The Artist,'" MacFarlane noted. "This year, he's ... everywhere," remarking on the fact that an Oscar win doesn't necessarily translate to a consistently lucrative career in film. MacFarlane also mocked George Clooney's propensity for younger women, describing 9-year-old Oscar-nominee Quvenzhané Wallis thusly: "To give you an idea of how young she is, it'll be 16 years until she's too old for Clooney." "I always thought the actor who got most inside Lincoln's head was John Wilkes Booth," the "Family Guy" showrunner said when discussing actors who have played the Abraham Lincoln in movies. The Academy Awards was set to include a tribute to James Bond, performances from Adele and Barbra Streisand and a host of other goodies. More from the Oscars is available in the live blog below.